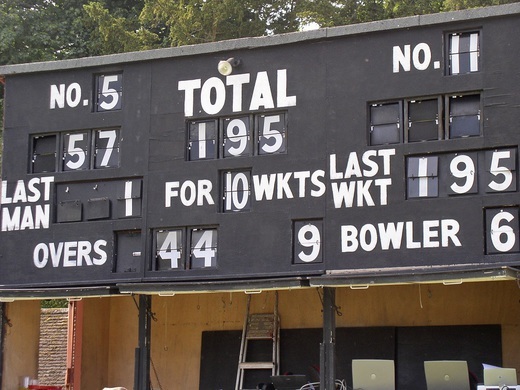 With Sov getting a walk over the only match to report was the game at Millfields between Clapton and Tower Hamlets, in which Clapton eased to an easy 91 run win. On another baking hot day, the late withdrawal of the neutral umpire meant a return to the old days of each team umpiring themselves. But a very good natured game ensued with Clapton & Oval winning the toss and electing to bat. Despite some disciplined opening bowling from Tower Hamlets, Clapton built a series of solid partnerships to set an impressive 257 for 4 from 40 overs, with debutant Alfie top scoring with 74. Tower Hamlets reply started strongly, racing to 70 within the first 9 overs, but when Clapton brought their slow bowlers on, Tower Hamlets found the boundaries harder to come by with pace off the ball. With the run rate creeping up, Tower Hamlets inevitably had to take ever greater risks and were eventually bowled out for 165 with 32 overs.